Replica of Puffing Devil, National Railway Museum Railfest, York, 29 May 2004 2. 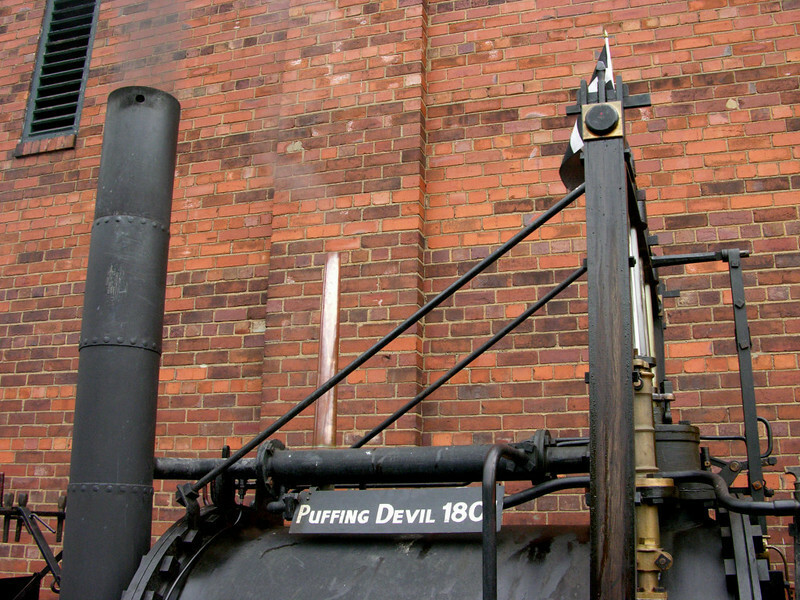 After Puffing Devil, Trevithick built a loco in 1803 for the Coalbrookdale Ironworks in Shropshire. Two replicas have been built. Trevithick was Cornish, and a Cornish flag can just be seen at top right.